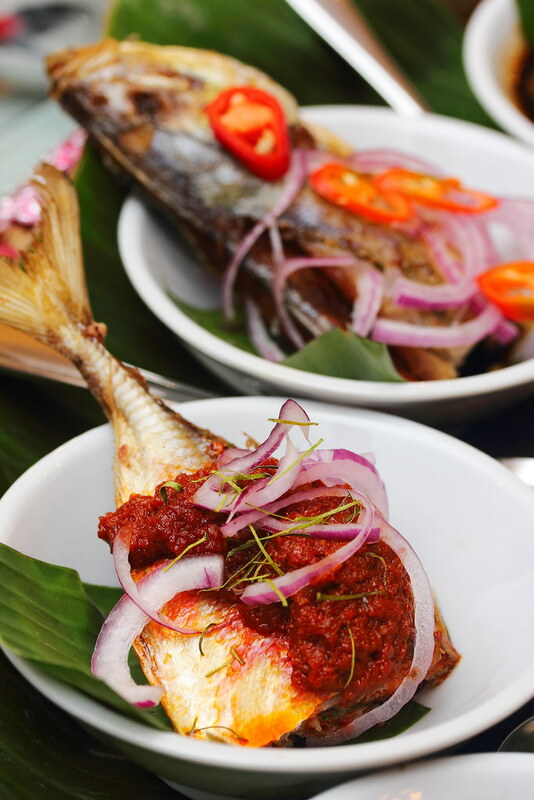 Along Orchard Road, there ain't many restaurants that serve homely style kind of food, which makes The Paranakan, located at Claymore Connect, rather one of its kind. Helmed by Executive Chef Raymond Khoo, not only you get a taste of tradition, you get a glimpse into their culture too! And by that, I mean taking a walk into their mini exhibition at the corner of the restaurant. These exhibits add on to the opulence of the interiors, especially under the shining chandeliers. 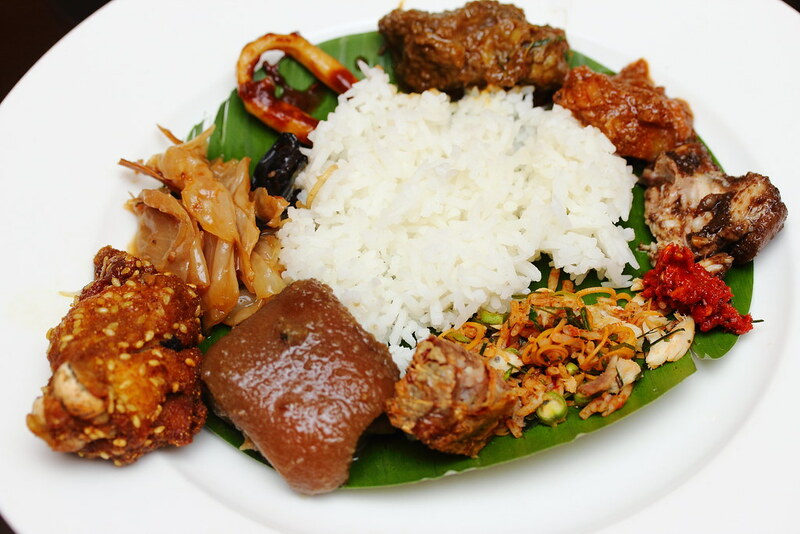 The menu is pretty extensive, categorised into appetiser, rice, pork, beef, chicken, fish etc. 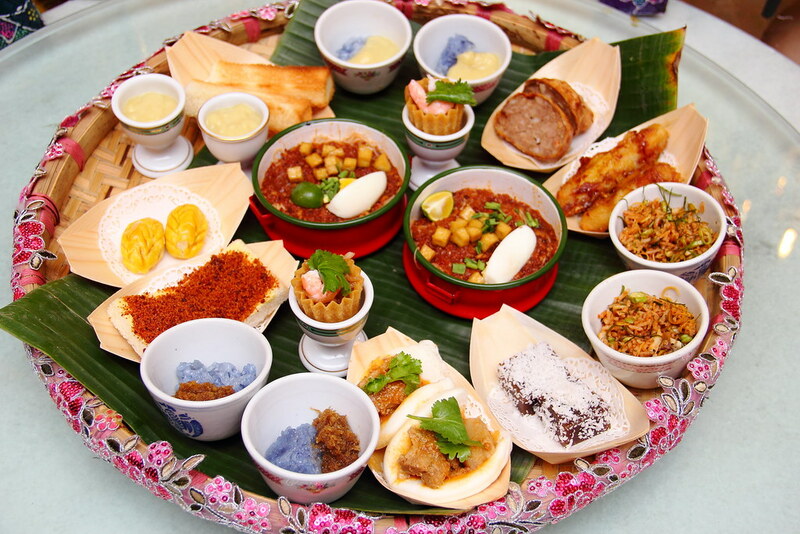 If you are familiar with Paranakan cuisine and know the kind of dishes that you want, it won't be much of a problem. However, for amateurs, TOK PANJANG would be an ideal choice. Basically, it is like a 'tasting' menu, with 8 to 10 dishes served in small plates, along with their signature soups and dessert platter. Cute little Kueh Pei Ti planted amongst the dishes, as the amuse bouche. Although it is a really small bite, I left it half eaten. Perhaps, a popiah stall still serves better Kueh Pei Ti than restaurants. Two soups were included. I very much prefer Sup Bakwan Kepiting. The body of the broth is not 'rich' as the menu describes, but a clear soup sweet and rich with nutrients from the sweet crabmeat/pork/prawn balls and the bamboo shoots. Soothing. A bit of fumble at the beginning, but the rest were considered quite sumptuous. 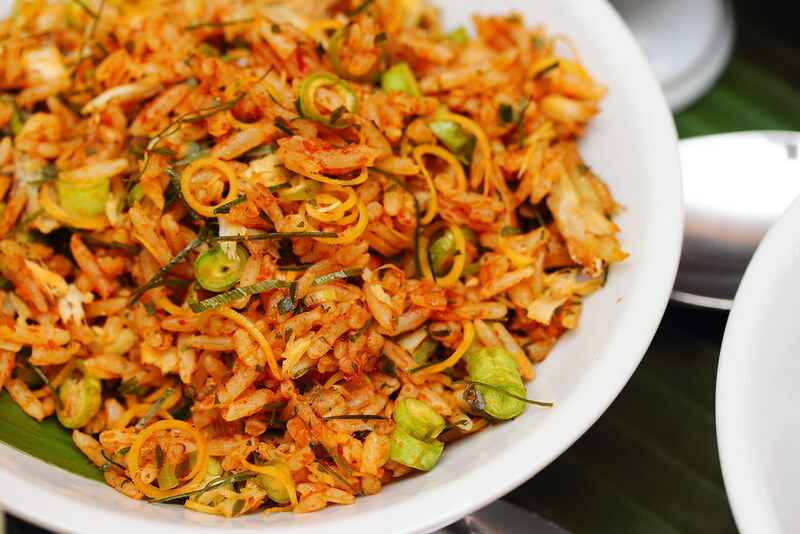 One dish that surprises many of us is their Nasi Ulam Istimewa - as described a spectacular dish of rice with raw herbs, vegetables, minced fish and salted fish. If not for Chef's recommendation, this humble looking dish could easily be overshadowed and overlooked. A rather laborious dish which has an acquired taste at first bite, intriguing at second, moreish at third. 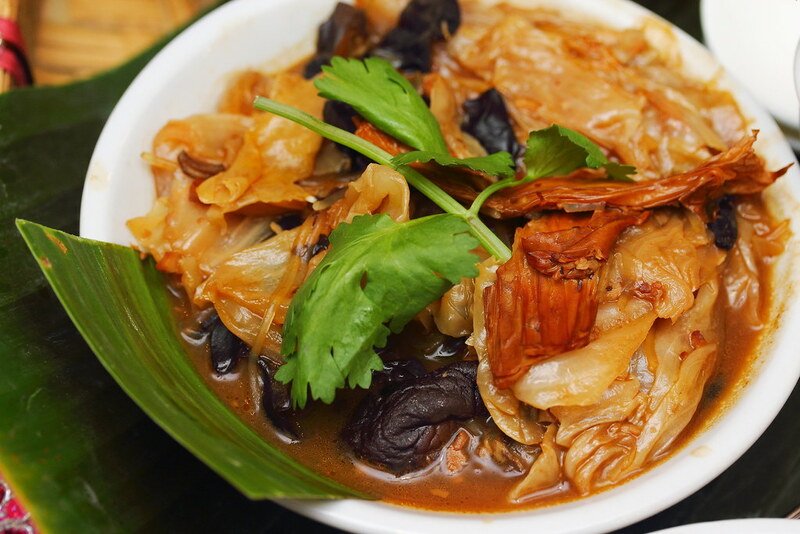 Read a couple of negative reviews on the Nonya Chap Chye, but it was a good day for me - well stewed cabbage and black fungus. 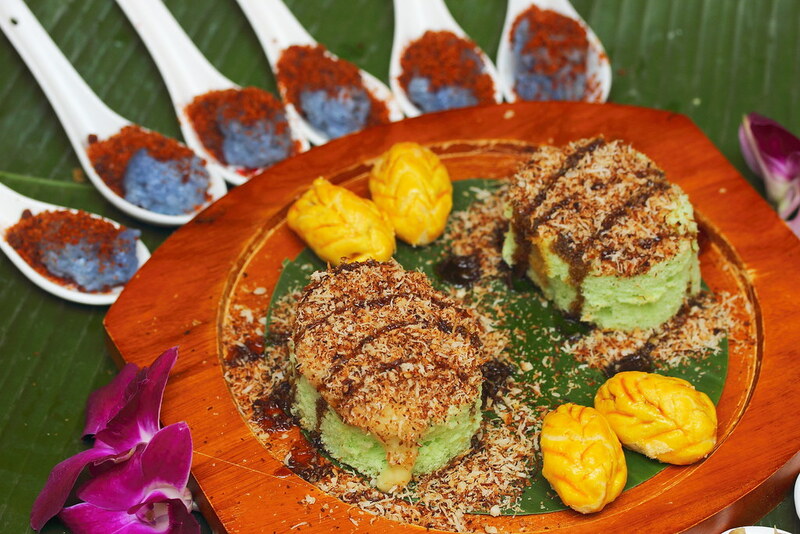 Ayam Buah Keluak, a quintessential dish that speaks the quality of a peranakan restaurant. Judging by the reaction of the rest, the buah keluak did live up to the expectation of being the Asian black truffle. Curry Ayam Estimewa (Curry chicken infused with the fragrance of spices and lime leaves) is a crowd pleaser. The chicken was tender, bathing in really robust curry which carries hint of lime leaves. 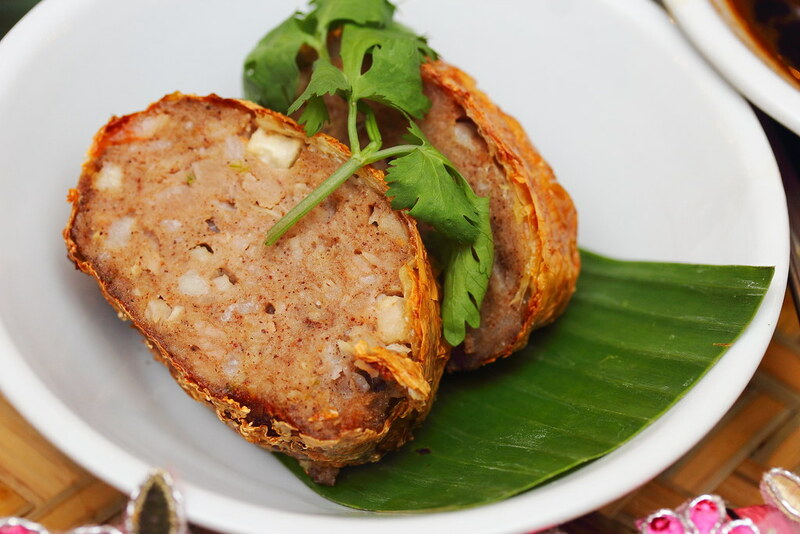 If your repertoire of paranakan food is limited to fish and chicken, then here is the chance to venture into Paranakan pork dishes. The Babi Tau Yu (Braised pork in dark sweet sauce with tau pork) is like our braised pork belly, a less familiar one would be Kaki Babi Pong Teh (Pork leg slow cooked for six hours with sautéed onions and fermented beans). It could be a little oily, but in small dosage is always good for the skin! 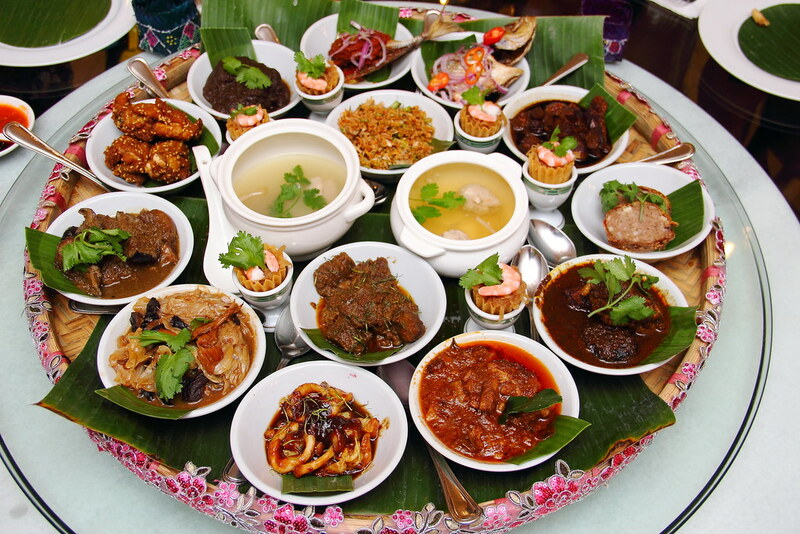 To round up the tok panjang would be the chef’s dessert platter and choice of malacca coffee or tea. The Pandan Gula Melaka Cake won the heart of many, some like the one with durian. I don't appreciate its sweetness but I like the shredded coconut on top which adds on to its taste. My favourite of the whole lot would be Pulot Enti Hae Bee Hiam. The Hae Bee Hiam here is really well done - the spice level is just right, and not oily as all, almost like the bacon bits atop my baked potato. With that on top of the sweet glutinous rice, the combination is simply satisfying. The tok panjang style is a fun way to try out the dishes, especially if you ain't familiar with Straits Cuisine and have not formed a liking towards any dish. However, perhaps such presentation requires a different preparation work, the food didn't seem 'hot'. Such grandeur setting is just right for a high tea, isn't it? 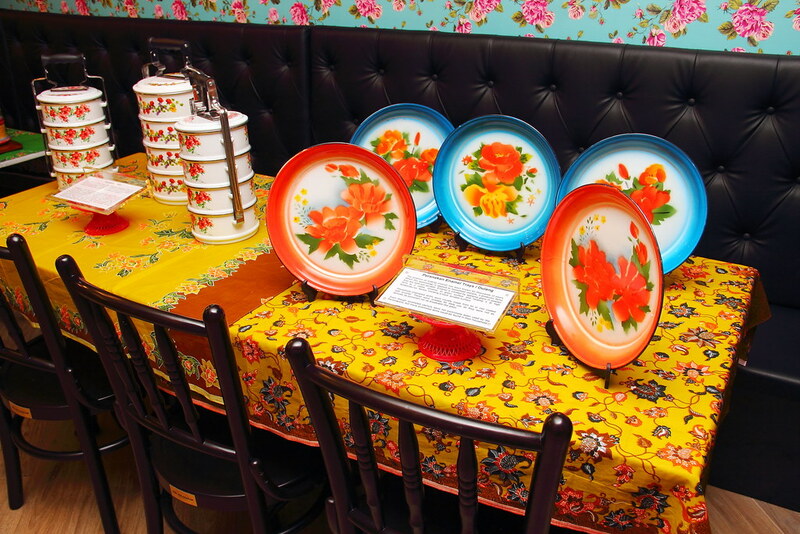 The restaurant recently launched their Peranakan High Tea from 11am to 5.30pm daily. 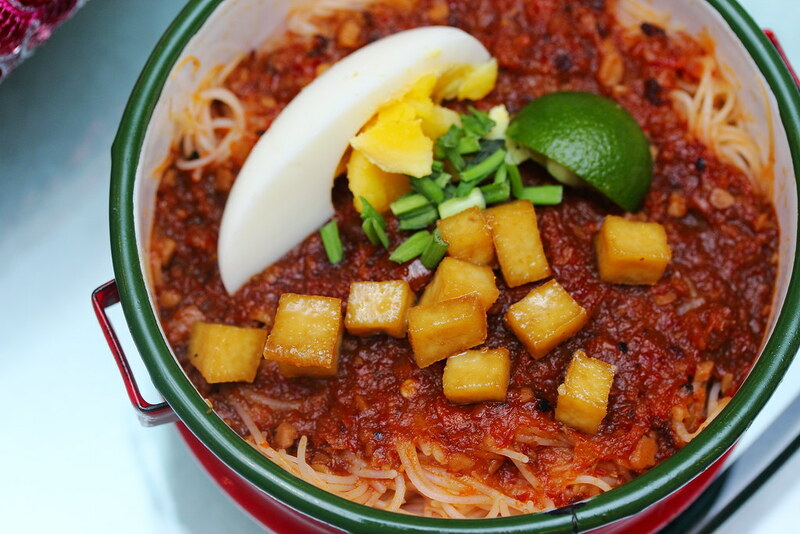 The Mee Siam has less gravy but double the taste. If you like durian, dipping the toast into their durian paste is a dip of happiness, though I wish it could be less sugary. 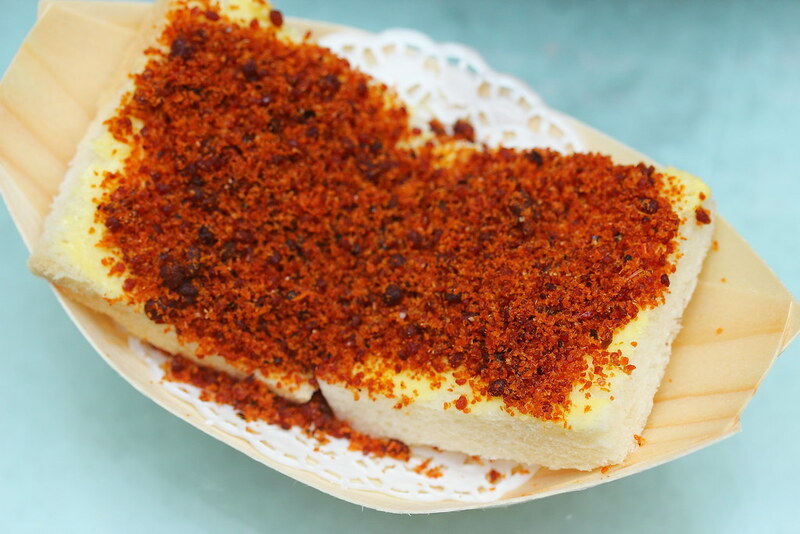 The toast with Hae Bee Hiam is simple but really delicious. Another item that delights me was their version of Kong Ba Bao, with Satay Babi Sum Chan as the filling. Slow cooked for nearly 4 hours, the meat was tender with soft fats. Homemade pineapple tarts are included as well, which are available for sale if you like. 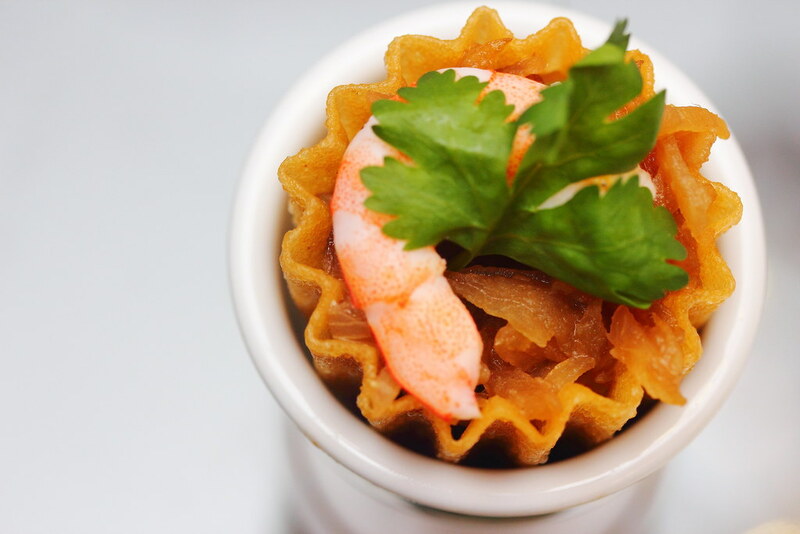 Eat like a French here at The Paranakan, trying out the dishes in a more exquisite manner. A great option to dine away from the crowd in Orchard. Written by Si An. A girl who is allured by travelling, loves the feel of freedom, smell of the rain and the aroma of fine coffee and food. Note: This is an invited tasting.